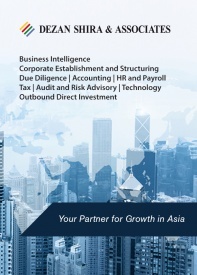 HANOI – When operating their business in Vietnam, foreign companies must ensure that they understand the legal framework which provides for the rights and obligations of employers and employees with respect to social security. There are three types of mandatory social security in Vietnam: social insurance, health insurance and unemployment insurance. 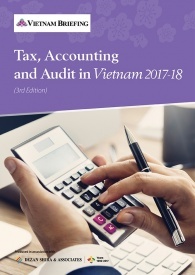 This article will provide an overview of social insurance in Vietnam, highlighting the minimum contributions of both employers and employees, as well as employee benefits including sick leave, maternity leave, allowances for work-related accidents and occupational diseases, pension allowance, and mortality allowance. The mandated contributions to the State Social Insurance Fund for 2012 and 2013 are 17 percent of gross income for employers and 7 percent gross income for employees. From 2014, the percentages will be increased to 18 percent for employers and 8 percent for employees. For employees working under an employment contract that is less than three months in duration, the social insurance contribution amount will be included in their salary, and the employees will be responsible for paying their own social insurance or other insurance. Sick leave allowance is given to employees who are ill, recovering from an accident, or taking care of sick children younger than seven years old. Applicable allowance and leave days vary depending on the number of years the employees have contributed social insurance. The maximum time granted per year for sick leave is 30 days with less than 15 years of social insurance payment, and can be increased to 60 days where the employees have paid more than 30 years insurance. The allowance granted in lieu of salary is equal to 75 percent of the salary of the previous month. Certification from a medical care establishment is required to claim sick leave allowance. Employees are entitled to maternity benefits not only when giving birth, but also when adopting children who are less than four months old, provided that they have made social insurance contributions for six months and within twelve months before childbirth or adoption. On average, female employees have the right to take maternity leave for four months. If giving birth to twins or more, employees are entitled an additional 30 days leave for each extra child. Female employees who are pregnant are also entitled to take one day leave for each prenatal check-up, with a maximum of five days. Furthermore, they can enjoy maternity benefits for miscarriage, abortion or stillbirth, and even for taking contraceptive measures such as implanting an intrauterine device or sterilization measures. Maternity allowance each month is equal to 100 percent of the average of salary/wages in the six months preceding the leave. In addition, employees are entitled to a lump-sum allowance equivalent to two months of standard minimum salary for each child upon giving birth or adopting a child of under four months old. Employees can enjoy an allowance for work-related accidents or diseases if they suffer from a working capacity decrease of at least 5 percent. Where the decrease is between 5 percent and 30 percent, employees are entitled to a lump-sum allowance. A working capacity decrease of more than 30 percent qualifies them for a pension. A higher allowance is given for a bigger ratio of working capacity loss. Employees suffering from a working capacity decrease of at least 81 percent will be entitled to an attendance pension equivalent to the standard minimum salary in addition to the pension mentioned above. If an employee dies due to work-related injury or disease, the family shall be paid a lump-sum allowance equivalent to 36 months of standard minimum salary. Pension is granted to female employees older than 55 years or male employees older than 60 years with at least 20 years of social insurance contribution. A lower pension will be granted where these aforementioned requirements are not met but other sub-requirements are met. Monthly pension is calculated upon the number of years of social insurance contribution and the average monthly salary identified for monthly social insurance payment. The maximum pension amount is equivalent to 75 percent of the average salary while the lowest pension is equivalent to the standard minimum salary. Employees who have made social insurance contributions of more than 30 years for men and 25 years for women are entitled to an old-age grant which is 0.5 percent of the average salary multiplied by the extra years that they contributed. For example, a man retiring after working for 34 years will receive an old age grant of 0.5 percent of average salary multiplied by the extra four years of contribution. For those ineligible for pension, a lump-sum allowance will be granted depending on years of social insurance contribution. For each year, employees are entitled to one and a half times their average monthly salary. Upon death, whether the employee has been paying into social insurance, deferring payment between jobs, or collecting monthly pension or allowance for a work injury or occupational disease, an allowance equivalent to ten times the standard minimum salary will be paid by the social security fund to cover the funeral. Upon meeting certain requirements, a survivor allowance equivalent to 50 percent or 70 percent of the standard minimum salary will be given to the family or relatives of employees on a monthly basis, until the relatives cease to meet those requirements or upon their death. In addition, one-time mortality allowances in varying amounts can also be paid to relatives of deceased persons depending on the case. 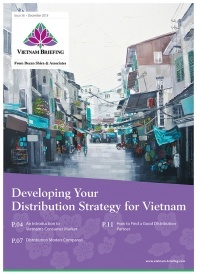 Material for this article was taken from Vietnam Briefing’s Doing Business in Vietnam technical guide. 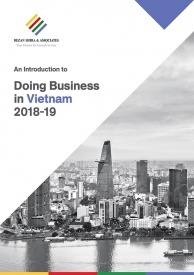 This guide aims to assist foreign investors in understanding the business environment of Vietnam, including reasons to invest and challenges for which to prepare. It will help you navigate the legal investment framework and understand the relevant regions for your investment purposes so that your company can take its first steps towards handsome returns. 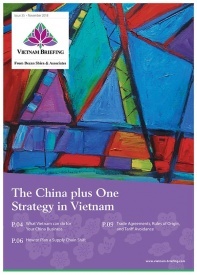 This publication is available as a PDF download on the Asia Briefing Bookstore. @nichole: The social insurance is applied for local Vietnamese employees only, not for foreigners working in Vietnam. Foreigners are not subject to this kind of regulation. Are Vietnamese citizens covered for health insurance through the social security system, even if they do not work? Group 1 – People under working age: such as children under 6 years old. Furthermore, people can contribute voluntarily health insurance through voluntary heal insurance system according to the laws of Vietnam if they wish. I am working in Vietnamese Institution. Could I demand the rate salary for foreign expat? Hello, thank your for your question. Salaries for foreign expats working in Vietnam can range widely depending on the type of work, experience, seniority, and location. To give you an example, in HCMC the salary for a Chief Financial Officer of an accounting/finance firm ranges between US$86-122K. However, a cost controller in the same company would be paid in the range of US$31-38K. Hanoi and HCMC tend to have the highest salaries in Vietnam. There are 3 types of social security in Viet – Social, Health, Unemployment Insurance. For Social insurance, its 8% for employee & 18% for employer. What is the % for Health & Unemployment insurance? Thank you for your comment. For health insurance, the minimum contributions are 3% for the employer and 1.5% for the employee. For unemployment insurance, the minimum contributions are 1% for the employer and 1% for the employee. 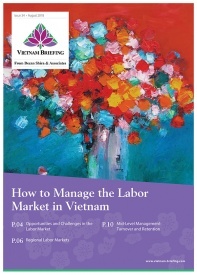 Please feel free to read our updated article here and to download a free copy of our new magazine on HR issues in Vietnam here. Pls elaborate what do you mean by minimum contributions? What are the payments that will attract Social Security contributions? Eg. Basic Salary, allowances, Overtime payment, per diem, bonuses? Hello, thank you for your inquiry. Minimum contribution means the calculation is made from the base salary of the employee – this does not include such things as allowances, overtime,etc. However, it is a fairly common practice by employers to include such things as allowances and overtime in their calculations, but this is not mandated by law.